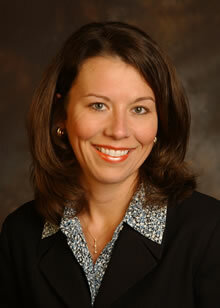 Janet M. Christenbury has been named director of media relations for Emory Healthcare. She has been a part of Emory’s Health Sciences Communications team since Oct. 2000. Christenbury is responsible for handling daily media relations for Emory Healthcare (its hospitals and clinics), as well as its services, programs, events and research throughout the health care system. During her 12-years at Emory, Christenbury has held a variety of positions including: media coordinator, assistant director and associate director of Health Sciences Communications. She also managed Emory's Video News Release (VNR) Program where she produced, wrote and oversaw production of the series, which detailed medical and scientific discovery at Emory. Before coming to Emory, Christenbury was a television news producer at WAGA-TV (Fox 5) in Atlanta. Prior to that, she worked at three television stations in South Carolina in the same capacity. Christenbury earned a bachelor’s degree in theatre, and a minor in journalism from the University of South Carolina in Columbia, SC.